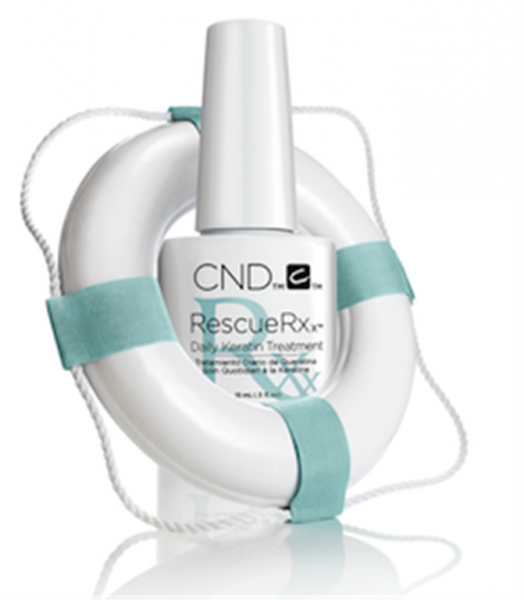 RescureRXx – A highly effective new treatment from CND that repairs damaged nails with the power of Keratin protein and moisturizing jojoba oil. With daily use, peeling and white spots will be dramatically reduced! Solubilized Keratin proteins bond to the natural nail to help strengthen the nail plate, and Jojoba Oil and Almond Oil conditions the nail plate and surrounding skin to deliver the moisturizing benefits.